One of the best parts of working with a non-profit is the people who support your cause. 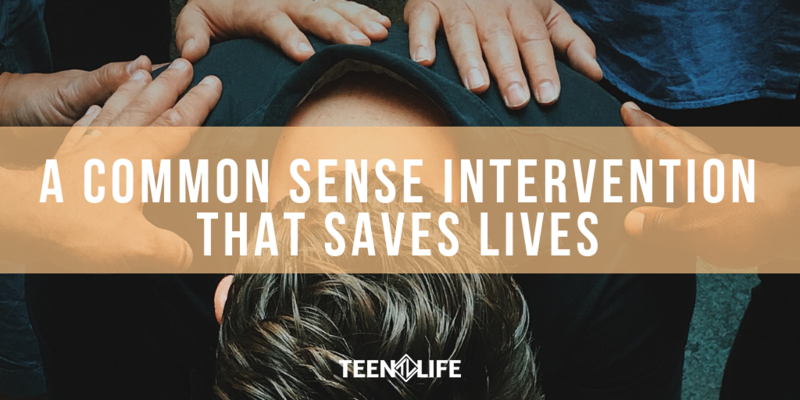 Obviously, we love working with teenagers – serving them is why we got into this! But there is a whole other side of our organization that makes our jobs all that more enjoyable – our supporters. One time a year, we all get together for an evening to celebrate what has happened with Teen Life over the past year and to fund what is to come. This last Tuesday we had our fourth annual Teen Life Dinner & Auction in Southlake, TX. 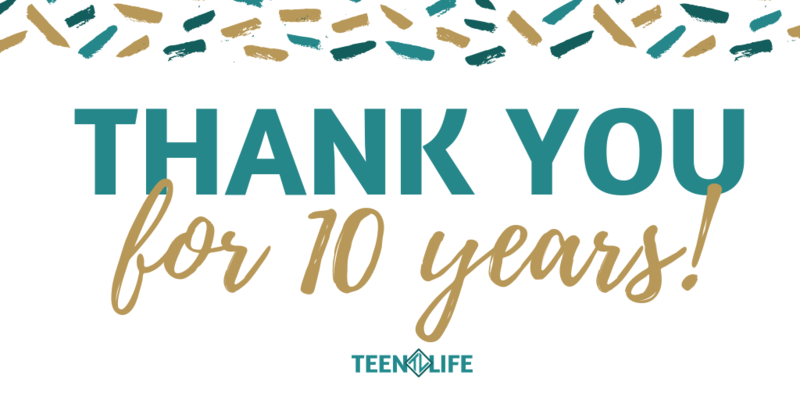 Almost 200 of our advocates and new supporters gathered in a room to celebrate 10 years of Teen Life and dream about what is to come. And, what a night it was – we raised almost $68,000 between sponsorships, auction items, and general donations. We were able to hear from some of our facilitators and counselors – we even had a trained facilitator at each table! We ate great food and enjoyed rich conversations. Really, it was an incredible evening. My head is still kind of spinning from it all! If you were able to attend and donate to our dinner – Thank You! Your generosity will launch us into our next ten years with confidence that our students will have the support they need at their schools. And if you were new to the dinner – we are thrilled you know us and can talk about what we do to the people in your circles. We believe our organization is worth investing in because we are making a significant impact with such a simple service. And if you were not able to attend the dinner but still would like to donate – we have an opportunity for you! We have set a stretch goal to get us to $75,000 raised by the end of the week! That’s only a little over $7000 to get us there – can you help? Check out our video and follow the donation button below. It is simple and secure to give – and goes a long way to make an impact. 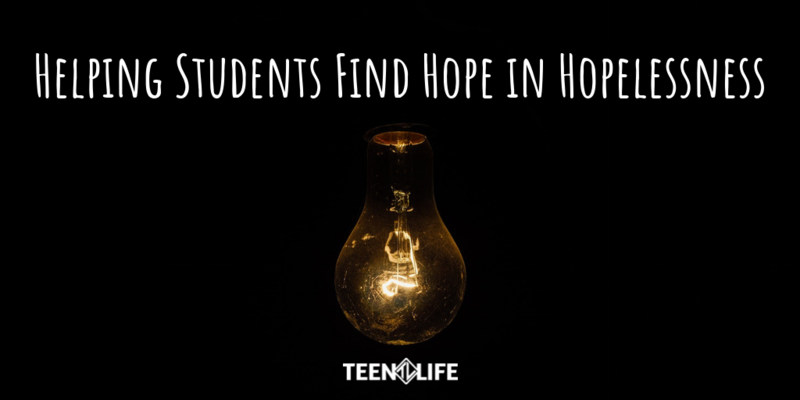 So again from Teen Life – thank you! We are excited we get to continue this great work in our community – because of you! Some days ago, I sat with my wife after a frustrating series of events unfolded with my kids where I likely handled things poorly as a dad. As anyone who is a parent can attest to, there are times that you don’t quite line up to where you would like, and those times can draw you into reflection. As we sat, she calmly asked me a series of questions that revealed my frustrations were not at all with my kids, but with some other things that were completely out of my control – and I was likely just taking it out on the kids. Like I said, dad fail. My wife is so good for me because she is willing to sit down after the fact and talk through what happened – kind of like a coach. And when I might get too frustrated or become short with my kids, it is often times because I am not aware of how I am feeling at the moment. Being a parent is hard. But being a parent while also being unaware of my own shortcomings and stressors – well that just makes things unfair, right? When I am blind to my weaknesses and vulnerabilities, I am also blind to how that affects those around me. So much of the research into those who are healthy, not only physically but emotionally, shows that healthy individuals tend to be self-aware. These are the people who know where they excel, but also where they fail. They “do their work”, so to speak, and take the time to be forthright with themselves about where things stand. I am at my best when I do my work, and I believe you will be as well. One of the best resources I have found (amongst a multitude of others) is the Enneagram – a personality framework that identifies nine basic personalities and variations within those personalities. For me this has been particularly helpful because my identified type, the Peacemaker (or a “9”) has more difficulty than most at being self-aware. 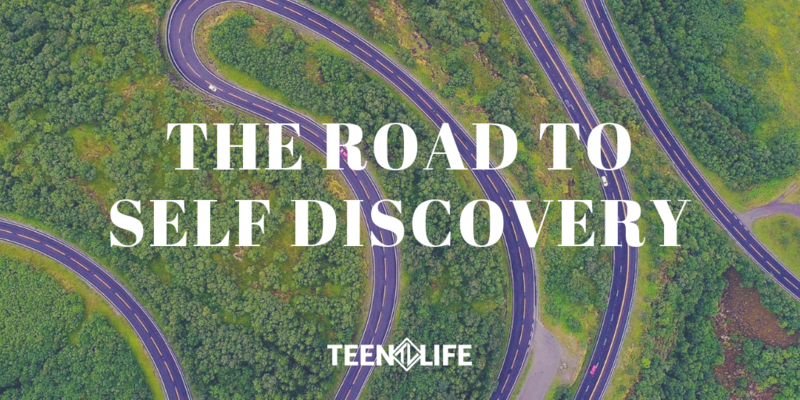 At Teen Life, we have done quite a bit of reflection as a staff with the Enneagram and better understand each other and what makes us work. This tool has been incredibly helpful with my marriage and relationships as well. It has been a game changer as a parent. Part of why I am bringing up the Enneagram is that we are starting to record a series of podcasts on the Enneagram and teenagers next week and will begin releasing those in October. 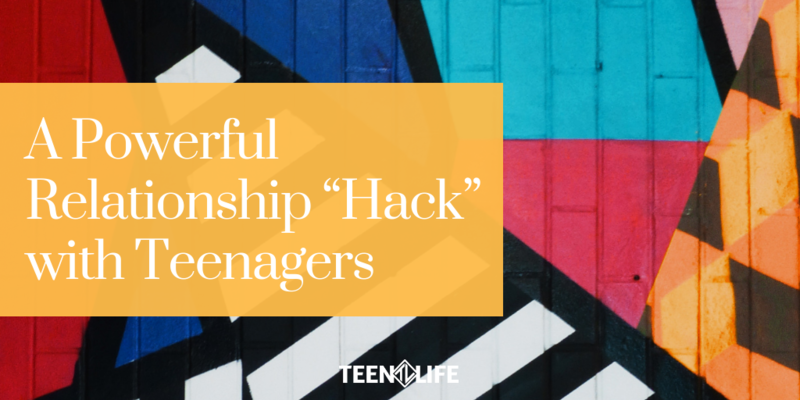 This will be a big series for us because we will be sharing a dynamic tool that will not only help you know yourself better as a parent or helper of a teenager, but will also help you better understand your teenager as well. In the meantime, I’d encourage you to check out a great book on the subject – The Road Back to You by Ian Cron and Suzanne Stabile that offers a great introduction to the tool as well as ways we can identify our numbers. Also, I’d point you towards Ian and Suzanne’s podcasts that take a deep dive into this great resource as well. If you want to take a quick survey that will get you on your way, you can click here. Maybe the Enneagram isn’t for you, but you have found a personality profiling system that has – what system has worked for you? Please share in the comments!